On June 3, 2011 Health Canada has recalled the ELNA eXcellence 740 Sewing Machines. This recall involves the Elna eXcellence 740 sewing machine. The machine is white and navy with a digital touch panel. "Elna" and "eXcellence 740" are printed on the front of the machine. The wires inside the sewing machine can short circuit. This may pose a risk of fire. Janome Canada Ltd. has received one report of a sewing machine catching fire. No injuries or property damage have been reported. At time of the recall Health Canada has not received any reports of incidents or injuries related to the use of these sewing machines. You should immediately stop using the sewing machine and unplug it from its power source. 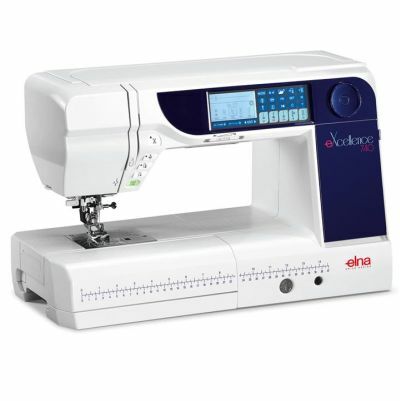 Take the sewing machine to the Elna authorized dealer where it was purchased for a free repair/update. If you want more information, you may contact contact Elna Canada at 1-800-661-7397, or visit the company website. Approximately 112 units of the affected sewing machines were sold at Elna sewing machine dealers across Canada. The recalled sewing machines were sold November 2010 to April 2011. These units were manufactured in Taiwan. The manufacturer is Janome Sewing Machine Co., Ltd. in Japan. The importer Janome Canada Ltd. of Mississauga, ON. As always, Turners Tips recommends that you take control of your insurance. If you manufacture, import or sell goods to the general public then you should seriously consider product recall coverage. Your ongoing operation and profitability should not face the risk of a serious consequence that could not only hurt your reputation but affect your ability to stay in business. Talk to your agent or broker.